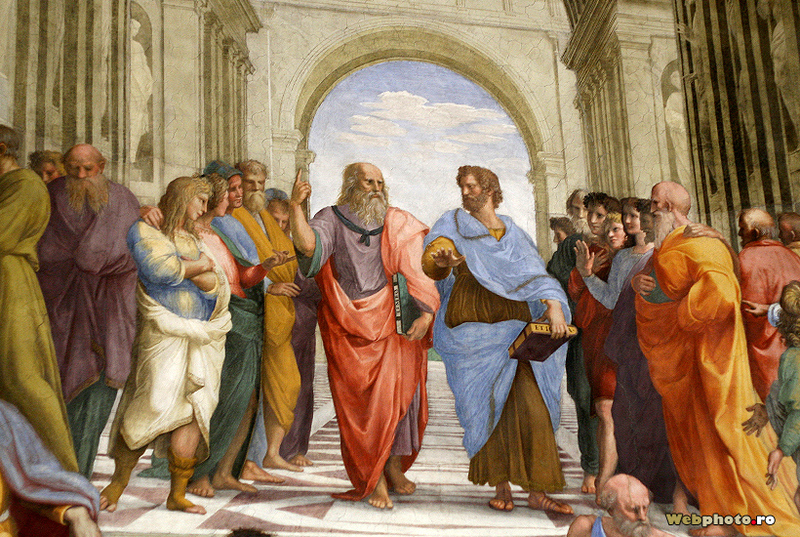 Raphael Sanzio’s School of Athens, featuring Plato and Aristotle in the center. The two ancient Greek philosophers are considered the founders of Western Philosophy by many, and argued over many points. Yesterday, I had a conversation with someone. It’s not actually really all that interesting, it’s a conversation I’ve had in some form probably over a dozen times since Trump took office (such a terrible thing), in fact likely since he first announced that he was running all the way back in the summer of 2015 (remember those days? yea, me neither…). Other person: I just can’t believe what Trump is doing to the world. Me: I agree that he’s not the best when it comes to rhetoric, and I don’t like all of his policies either, and some of his ‘fans’ go a little, like, waaaaay too far down the trolling aisle, but they are still people, right? OP: Yes, but they don’t treat some of the people on ‘my’ side with any respect, so why should I treat them with any? OP: But Trump is their ‘leader’, he’s manipulating the system for his own selfish gain? Like a tyrant. Me: So what does that say about the system? OP: Well, certainly not that taking a step back and thinking about it will do anything about it! He’s asking for this! And subsequently, ‘they’ are as well! Okay, so it’s a little paraphrased. Obviously, we could replace every ‘Trump’ with a ‘Hilary’ and still have the same conversation, only a bit more bombastic (SHE’S ALMOST LITERALLY CALLING FOR VIOLENCE! (which Other Person would be right about)). Either way, we still come to the same conclusion: that leaders will benefit from partisan politics no matter what, and that after so much time has gone by, when it’s become so ingrained in the national conversation and the thinking of every citizen in the country as the only way to engage in political discussion (by relegating all points to the ‘leaders’), the leaders can only prove that they’re human, by exculpating the will-to-power subconsciously in their attempts to understand the way society works. People are complicated, society more so in the sense that there we’re talking about large groups of people, but less so in the sense that consciousness begins in the individual and proceeds backwards and forwards in time, to other individuals. The paradox of the Individual and/in society has been commented on by everyone from Plato to Carl Jung to Carl Schmitt, from Hannah Arendt to Thomas Sowell to Marx. It’s not just a hyperbole, it’s an fundamental human question which gets to the finest fibers of how intellectual consciousness understands reality, and it involves a lot of moving parts, apparently too many for any individual person to see with any Absolute expertise (including myself (because I’m in it)). I’m not trying to say that we shouldn’t be holding leaders responsible, if we understand what they’re trying to do in the context of the time and place as a whole, even a little bit, those checks and balances come pretty naturally to any society with any semblance of liberalism (until it’s skewed, of course), but once we’ve reached the point where we have mob rule in Portland and a long-term senator expressing fear of assassination attempts if the rhetoric isn’t calmed down, is there any possibility that, perhaps, we’ve passed the point where leaders must take all responsibility, or even most of it? Leaders are nothing without the people they lead. What if the people have become so accustomed to consider their leaders Absolutely irresponsible, that they think the only leaders worth following are the ones who claim to want to take all responsibility, for both moral and anecdotal reasons, but are clearly thinking (and where this is understood necessarily, at least subconsciously, by those being led (though it may obviously be subconscious on the part o the leader as well)) something else? I’m not actually totally sure what I’m trying to say here (…), but I do know that any philosophy which tries to purport its dissenters as insane, ridiculous, or less-than-human is one only worth reading to put it into context. If people think a certain way, and especially a large group of people, there must be something to learn from it, and you’re certainly not going to get to it if you write those people off as non-human /> they’re not going to talk to you, dawg! As crazy as it may sound, not everyone is that into politics, not everyone is trying to have an argument, and they shouldn’t be, that’s how humans have been able to get to where they are today (like: not being barbarians): accepting that we’re not the best at everything. Most people just want to say their peace, and hope everything is worked out by those who do want to argue and read more. And it’s up to those people (us) to do what’s necessary. Which, before anything, is to refuse that naturally tempting dehumanization of ideas and the people who think them.